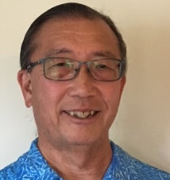 loyd Kajikawa provides program improvement support and expertise tailored to each school and district client based on their unique needs. The range of services include providing leadership training and coaching (specifically around classroom observations and feedback), utilizing data to guide improvement actions, increasing rigor in instruction, and helping clients to develop a shared vision and purpose around increasing achievement for all students. A former teacher, administrator, and professional development facilitator, Lloyd has gained broad and varied experience across his career. During his time as a teacher, Lloyd developed the social studies curriculum for the school district, which led to a temporary assignment as an out-of-classroom teacher, assisting other teachers with curriculum implementation. He later became a high school administrator, where he facilitated a School Improvement program. Lloyd then led the professional development efforts of a large urban school district and later led its federal and state categorical programs. He sought to meld professional development and curriculum implementation with the fiscal impact of categorical programs and pushed for schools to focus their resources on programs with demonstrated results for increased student achievement. Lloyd then developed a program to educate teachers about the Japanese American experience and began work at the then-nascent Japanese American National Museum in Los Angeles. While directing the Museum’s educational outreach, Lloyd implemented a process to create meaningful curricula that assisted teachers in developing units of study based on essential questions and the use of inquiry and other models that challenge students. He later assisted a community development corporation to initiate a child development program. He later began working at the Los Angeles County Office of Education, first helping to implement a four-component family literacy model and then working with schools and districts in program improvement.